Here are some examples of the subjects we will be covering. Additionally we will base these and any others on the needs of the members of your group. One of the most misunderstood aspects of being a leader is when to be a leader and when to be a manager. We manage things but we lead people. Are we dictating to our team or are we gaining consensus? Are we helping them find their own way or are we telling them what to do? One of the most difficult things for a sales leader to do is to really understand how to best create accountabilities for the salespeople on the team. Is it revenue alone and if so by what time period? What are the best ways to create those thresholds? Tracking is so important in assessing if a sales person is going to make it or not. It is also important in figuring out how to coach this salesperson to success. What are we tracking? Are they the right things? Motivation is an interesting but challenging topic because we often assume everyone is motivated in the same way. Worse then that is we assume everyone is motivated the way we are motivated. Learn different ways of motivating different people to get the most from them. Are territories established in your business? Are they right for the person in them? How do you know? This conversation takes a real “out of the box” mind since most territories are established and never really readdressed. Do you have great ideas but they are often either being squelched or just not being heard? How do we get our executive(s) to open their minds to some new ideas? 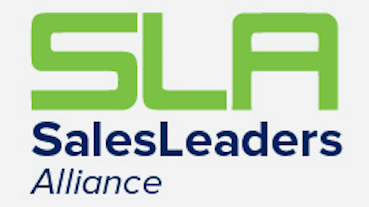 Salespeople work individually and for sure are a bit ‘selfish’. That is OK in some aspects but how do we get our team to be willing to help each other reach a common goal as well as working to get themselves to the next level as individuals? Having a sales process is one of the most important things in leading a sales organization but what is it? How do we track it? Does everyone sell the same way? How to get everyone into one common sales process without squelching their creativity and personality is a very powerful yet challenging issue. We will discuss how to create and manage the sales process while keeping each sales person’s creativity in tact. When to pull the trigger on a salesperson that isn’t getting the job done? Are they not working hard? Are they trying but need more help? What help do they need and in what area? How do we really know when to stop wasting time and cut the strings? Today human resource issues are far more important then in the past. What can and cant we do? We are much more vulnerable to legal action then ever before. Are we documenting everything before we make a change with the person? Did we do the same for everyone? Do we look like we have favoritism? What are we training our people on? How often are we training and re-training? Is it a continual process or a “one-time and you’re on your own” environment? Which is right? One of the most widely discussed and disagreed upon subject is how a salesperson is paid. Commission? Salary? Both?? How about bonus? There is no right answer but is there a right answer for your organization? What is it? Goal Setting is an issue that is difficult to really set and manage correctly. What changes are happening within your market? What is the ultimate goal? Is it to sell by revenue alone? Should it be? Part of tracking is having the ability to electronically find prospects and progress through the sales cycle. Sales people are notorious for not being diligent at updating information into the CRM. This formation is imperative to success within an organization and proper communication with a client in the future. What is the key to engagement and what is the best CRM option for you?